Welcome to Down the Shore DJs! Mobile Disc Jockeys and Entertainers! Down the Shore DJs is your South Jersey source for Great Entertainment including the area's best Mobile DJs , Great Live Musicians , Emcees for Special Events , and more! 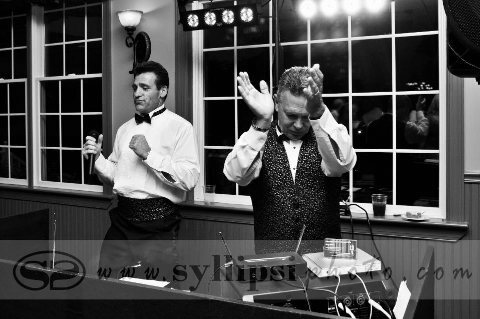 At Down the Shore DJs , Our goal is to make your event a success by providing you the Best Entertainment at the Best Price anywhere. 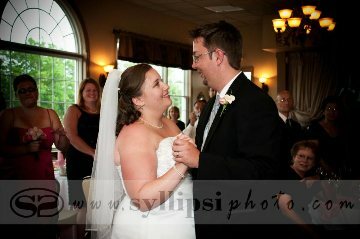 We offer the best Wedding and Party Packages anywhere! So call us for your next event and let us help make it One to Remember! Click here for song suggestions! For my wedding, I was very specific about what I wanted music wise...(my mother was a music teacher so I had a lot of influence! )Jerry and Alan were so professional and understanding. They had my style down to a tee! People danced the whole night, and I am still getting compliments on the music selection! They really kept the party going with my "Golden Oldies" theme, and people of all ages were on the dance floor the entire night! They also helped to keep us on schedule, and keep people off the mic that didn't belong there! I cannot give enough praise to this duo, they are truly awesome guys that really listened! Love them! Can't thank them enough! We do Outdoor and Beach Ceremonies! Click Here for Great Event Lighting! Click Above for Great Lighting!